Version 1.56, enjoy fighting U.S. Army Rangers! Requires Operation Ancorage. 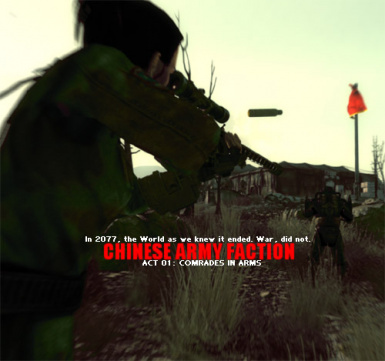 New Chinese Army Faction mod, version 1.55, Chinese outpost version. Start of the Chinese Campaign, quests to come later. Operation Anchorage needed.